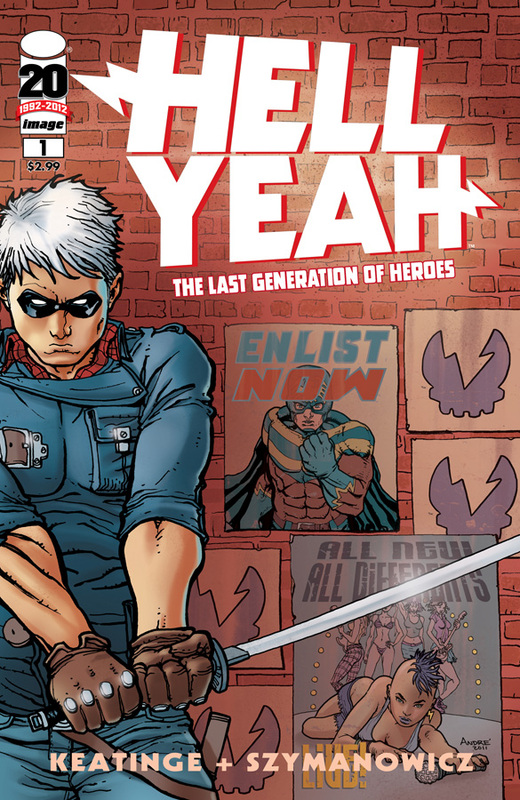 The Fellowship was fortunate enough to obtain a copy of HELL YEAH #1 from Image Comics. Joe Keatinge wrote the story with illustrations by Andre Szymanowicz. This is the story of Benjamin Day – the son of a war hero who was rescued by a group of superheroes. This group brought about change to where the world lives in a utopian society. He is rebellious, a troublemaker, and powers, but there is something else – questions that he needs answers. However, the incident on campus doesn’t answer them, only adds more questions. This is a very intriguing first issue. I want to go back and learn more about this world and the mysteries that surround Benjamin and the sudden appearance of the superheroes. The issue's ending definitely has my curiosity piqued! Szymanowicz’s art is great. I see a Gary Frank influence, but not as detailed as Frank. The use of color throughout the issue is impressive too. It was a nice decision to have the flashback sequence in black in white. Keatinge’s dialogue was well done and very realistic. This will end up on my pull list. HELL YEAH #1 is in comic book stores now (hopefully - the book sold out at the distributors, a second printing is coming). It is also available at www.imagecomics.com.